Nautiz X8 delivers the largest, most brilliant capacitive touchscreen in its class, along with an unprecedented combination of processing power, connectivity and field ruggedness. For complete water quality sonde set-up and real time monitoring, the Surveyor is a simple and rugged handheld display that is designed specifically for use with the Hydrotech Compact MS, HT6, OEM MS5, OEM DS5, Hydrolab® standard DS5X, DS5, and MS5. The powerful NX10 rugged tablet PC offers sophisticated technology and can withstand weather elements and harsh handling — a perfect match for today’s mobile workforce. 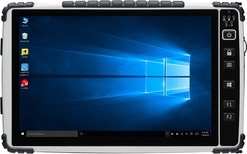 It operates on a powerful Intel® quad-core processor, with a 128 GB SSD, expandable via microSD™, and 4 GB of DDR3 RAM, offering top-of-the-line computing capability and massive storage capacity. It runs Windows 8.1 Industry Pro. The Surveyor HL is the handheld display that connects to the Hydrolab HL4 & HL7 for attended monitoring applications and for completing other common tasks with the sonde in the field. 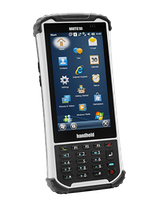 It is rugged and compact with a color screen that is visible in direct sunlight and a keypad with pronounced buttons for system navigation.